It's here! And I'm thrilled my story "When Chase Prays Chocolate" was chosen to be in SmokeLong Quarterly The Best of the First Ten Years 2003-2013. Much thanks to editors Nancy Stebbins and Tara Laskowski. 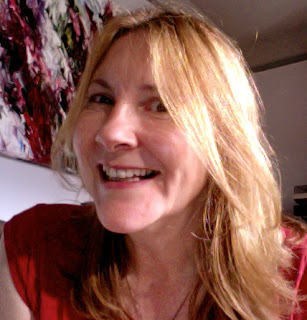 Before I was published in slq, I was a loyal reader. It's no surprise that the story by Michael Czyzyniejewski that got me hooked on the journal is included in the anthology. 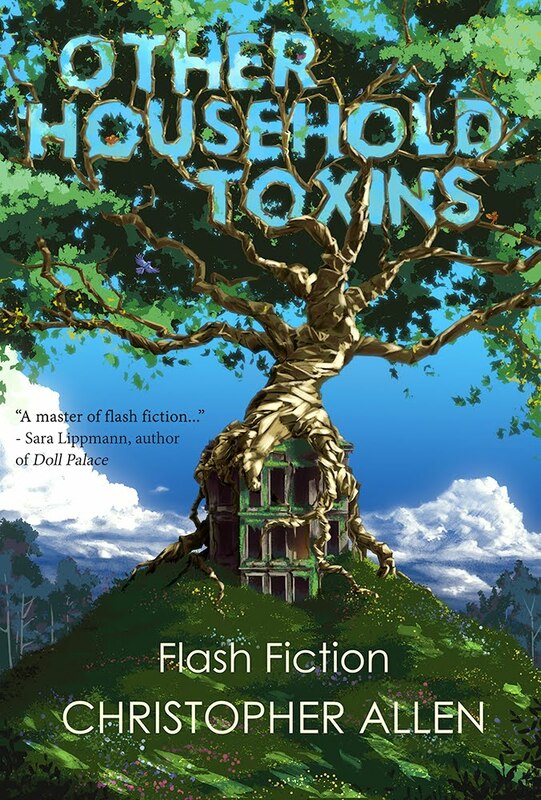 Some of my favorite writers of flash/sudden fiction are included as well: Kathy Fish, Matt Bell, Steve Almond, Casey Hannan, Jen Michalski, Myfanwy Collins, Randall Brown and Christopher James to name only a few. The list of contributors is intimidating. Since 2003 SmokeLong Quarterly has consistenly published superior sudden fiction. The concept of the journal is to publish fiction that can be read in the time it takes to smoke a cigarette. And they've published quite a lot in the last ten years. I'm doing the math right now. That's over 500 writers? Wow. Thank you, slq! It's always a pleasure reading new fiction in your pages. 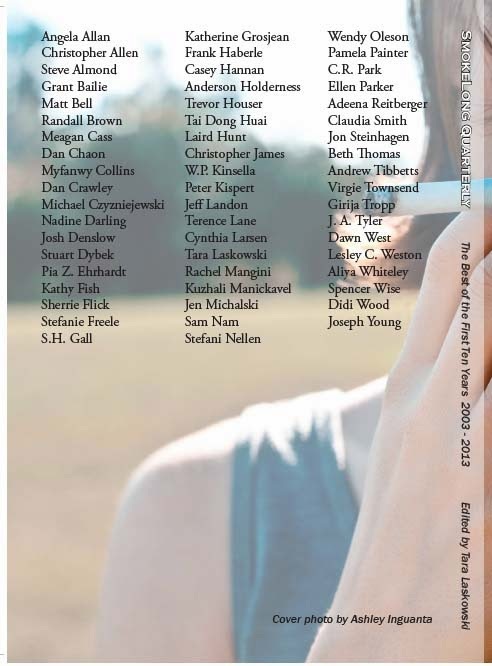 Here's the complete list of smoking writers featured in the anthology . . . I rarely ask IMBO readers to buy anything, but I'm making an exception this time. Please buy this. Please celebrate 10 years of excellent fiction with this journal. You can order it HERE. And after you've ordered it, please go to the site and browse through the last ten years. As Dave Clapper, the founding editor and publisher of slq says, there are just so many great authors who, due to space constraints, aren't in the anthology. SmokeLong is always worth a read--even if you don't smoke. PS: Thank you, IMBO readers, for over 100,000 views a month. Every month. You're pretty.